Baby Face Doll 411 » Blog Archive » What are you up to Sherry? What are you doing Sherry? I'm helping you Mom, working on the new website. 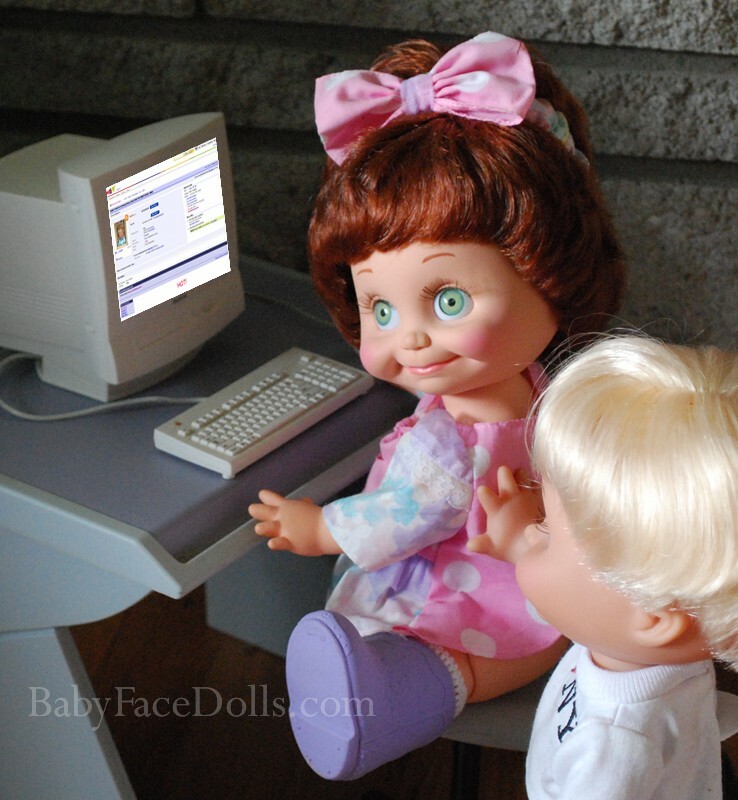 Hmm, that doesn ‘t look like BabyFaceDolls.com on the screen to me. What do you think Sherry is up to? Sherry’s are very techie and always look so very innocent. You need to watch what they are up to all the time I think. Could it be that Denny has put her up to something? Denny’s are full of mischief. When those two get together, look out! These are the first pictures I am taking with my new camera. I love being able to take pictures using natural light. I think natural light looks so much better than flash. Click on the pictures for a bigger version.